Explore this image by clicking and enlarging as its file size is almost to what WP allows. Erratics are boulders scraped off the bedrock by glaciers and carried by the ice to distant locations. Where this one came from is anyone’s guess, but ‘somewhere north’ is the most probable. They come in all sizes. 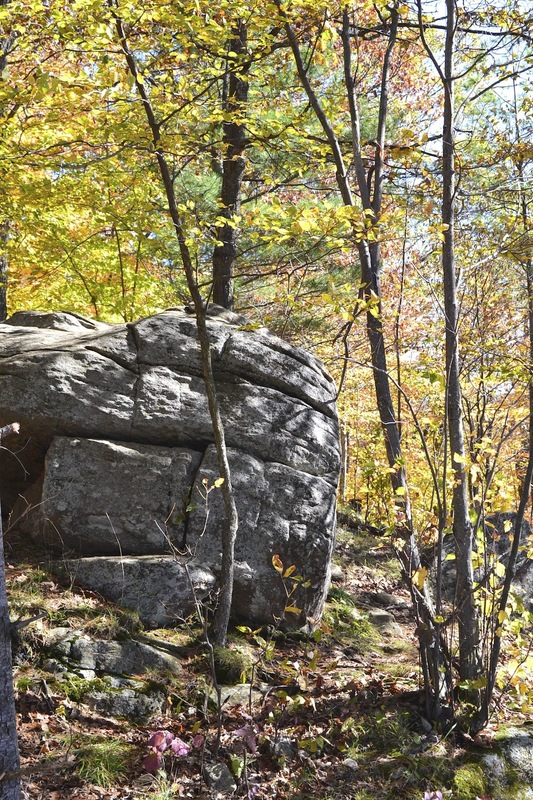 In this case, it wound up on a high promontory near Dorset in the Haliburton Highlands. This entry was posted in Photography and tagged Canada, Dorset, Erratics, Haliburton Highlands, Ice Age, Ontario, photo. Bookmark the permalink. thanks. reminds me of being 8years old….